As I'm abroad I have told my sister to just get whatever she wants. I know her style and we're emailing photos we like so I know she'll get something lovely. I'm not stressing about colour and that. I picked the colour scheme, sage green and navy and let them pick the dress, either colour and whatever style they wanted. I didn't even mind if they chose different colours or the same colour and 2 different styles but turns out they wanted to match? What kind of colouring are your girls? 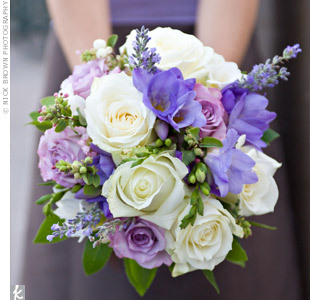 What about going with lavender dresses and purple flowers and accents? 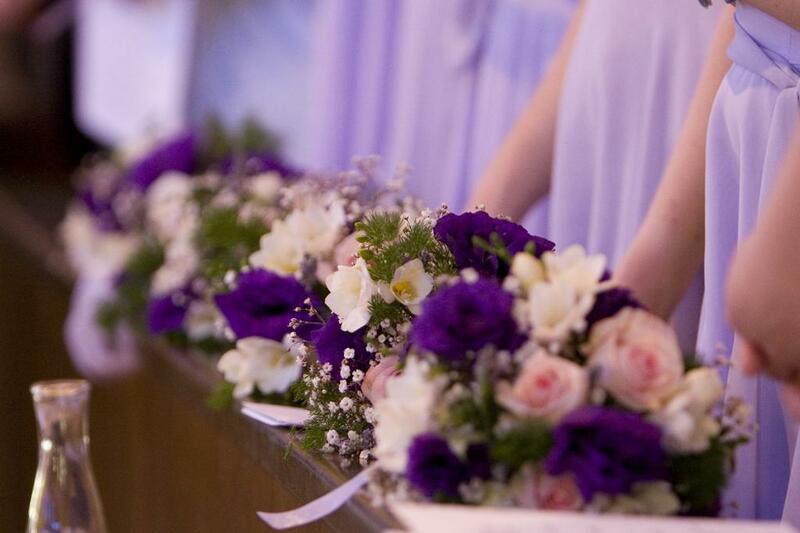 Then you would get your purple themed wedding but would also be a bit different to the others. Thanks a mil everyone for all your input! LittleLily, thanks a MILLION for your ideas & pics-LOVE IT! Dear, it's really very difficult to buy a desirable dress for bridesmaids according to their nature. My wedding theme is pink and purple and I found a beautiful bridesmaid's dresses on Mixxmix store Coupons, so I suggest my all bridesmaids just go there and choose according to your nature. Its really gave me some relax.